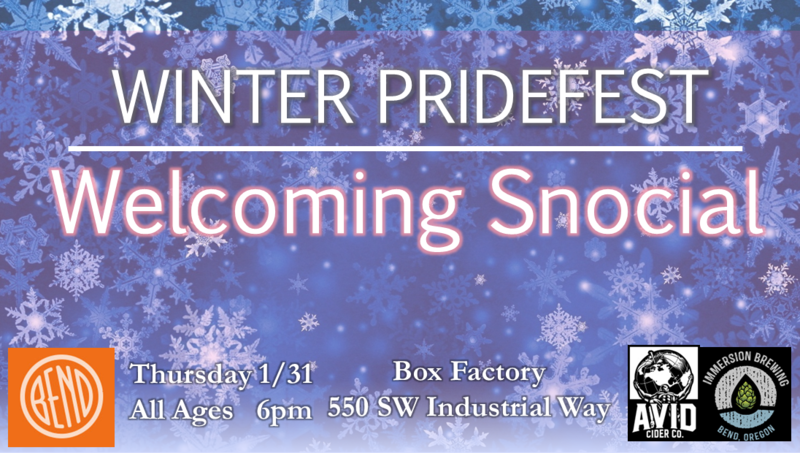 Start Winter PrideFest weekend at our Welcoming Snocial! Join us at Immersion Brewing, AVID Cider, and The Brown Owl at the historic Box Factory in Bend for a Snocial drink and/or dinner. Pre-purchased Mt Bachelor lift tickets for the weekend will be available for pick-up.